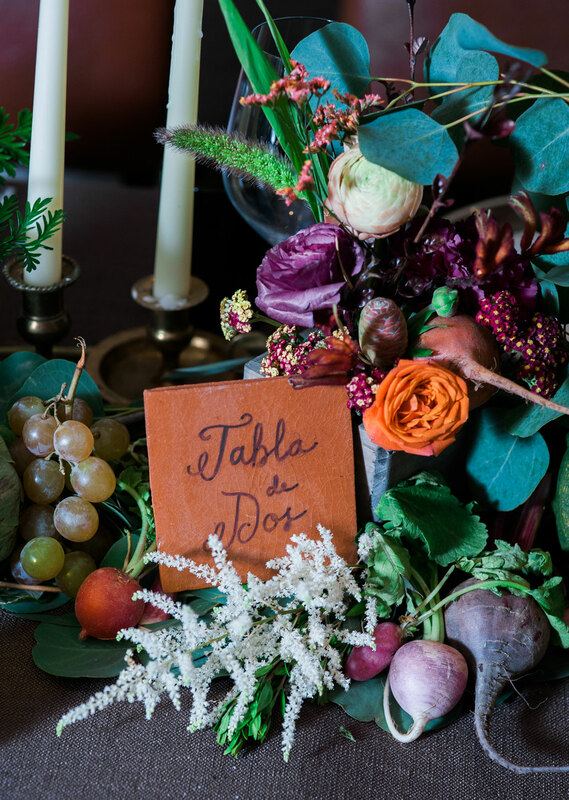 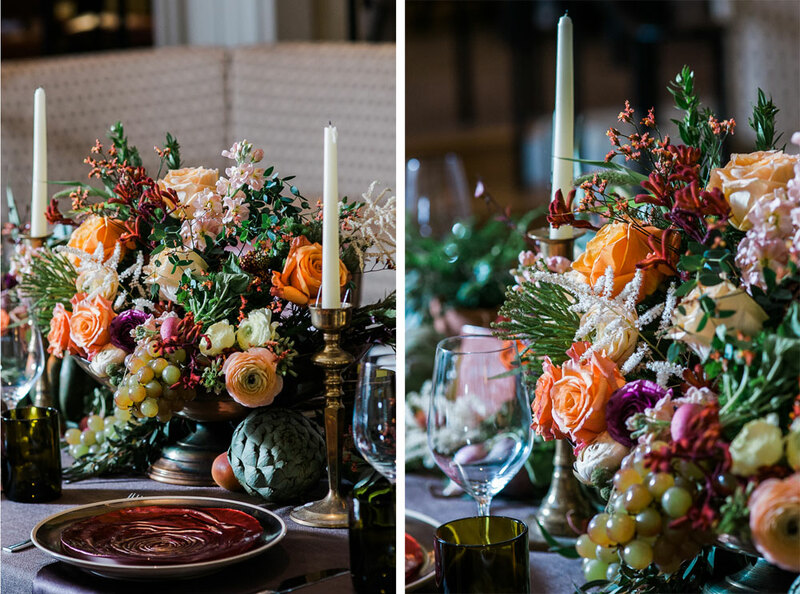 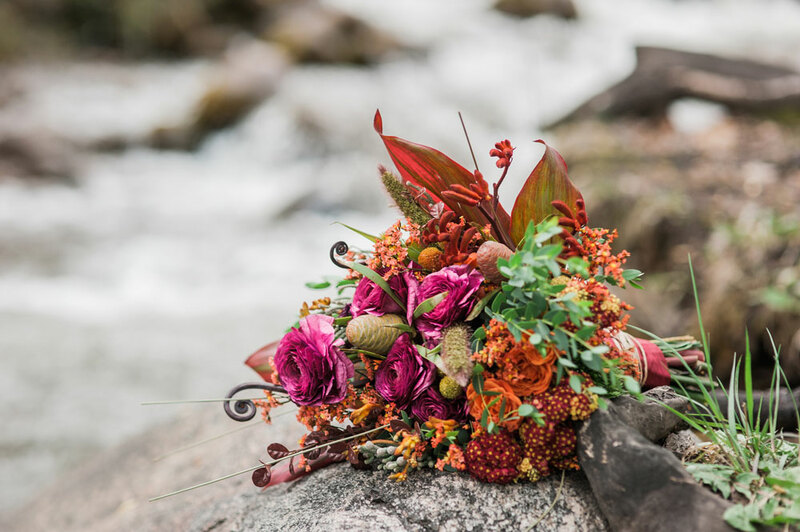 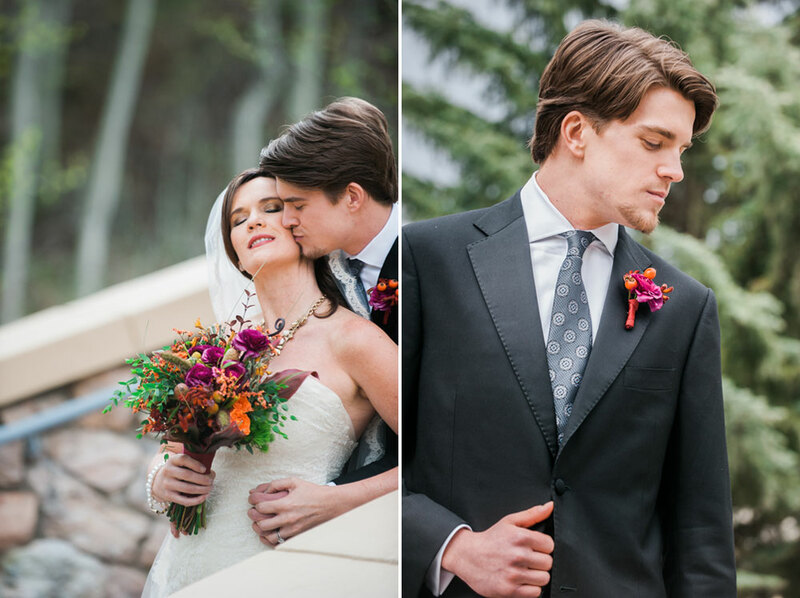 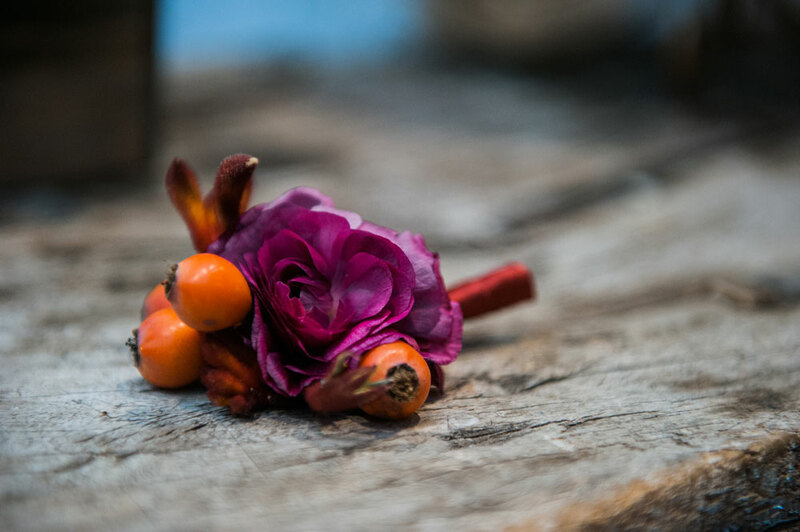 From the photographer: This collaborative styled shoot started around the concept of an upscale Cinco de Mayo/Latin flavored reception in the mountains. 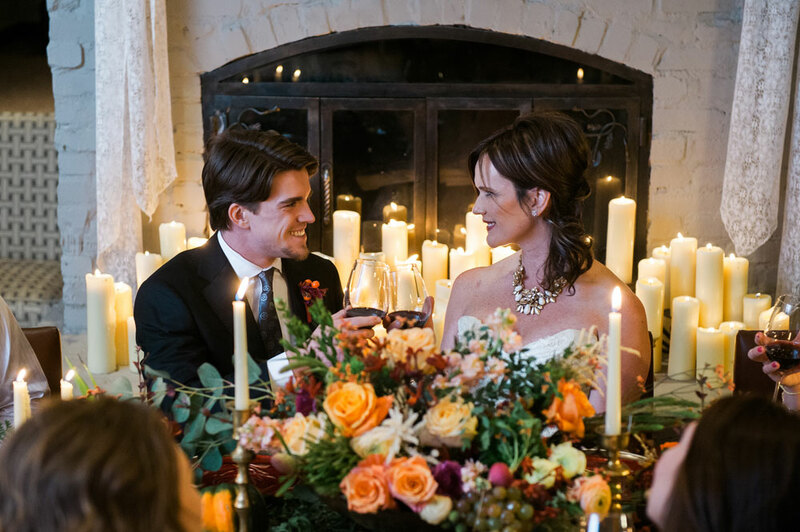 What it evolved into was really an intimate, spiritual shoot centered on the theme of community. 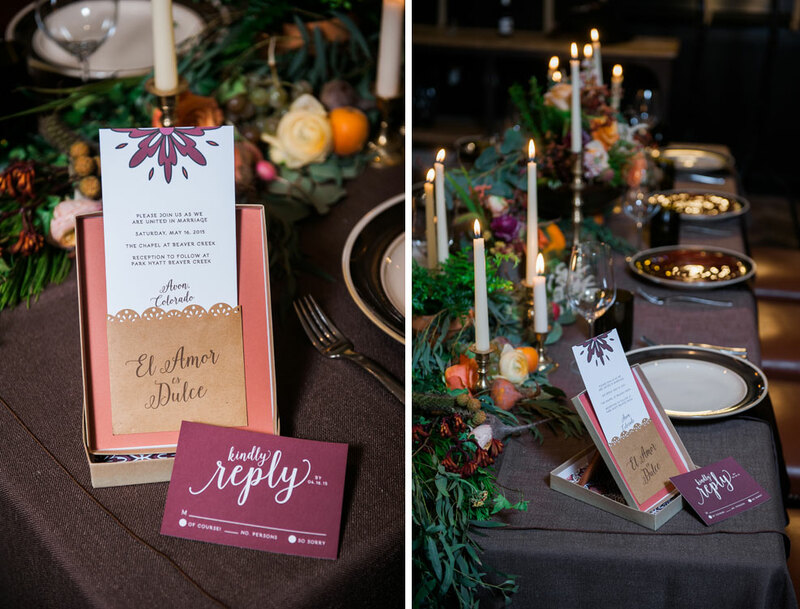 We are a community of vendors working as a team to produce unique events. 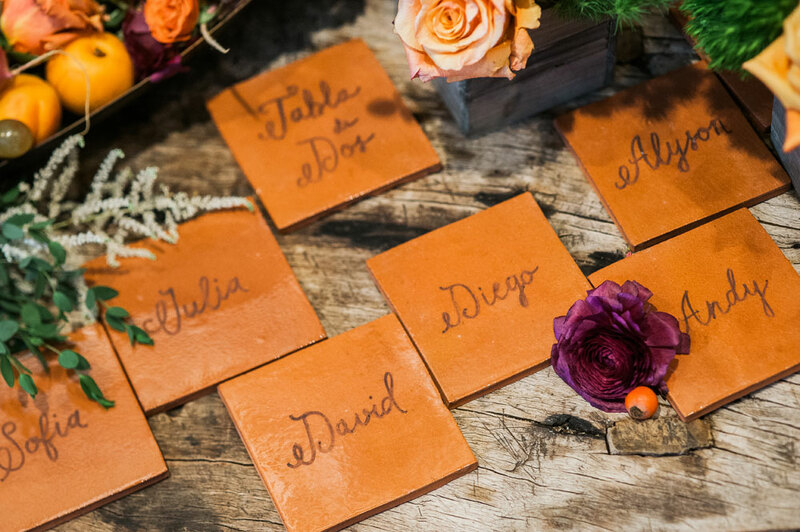 We pictured a wedding where every attendee was part of the couple’s tribe; their community of supporters. 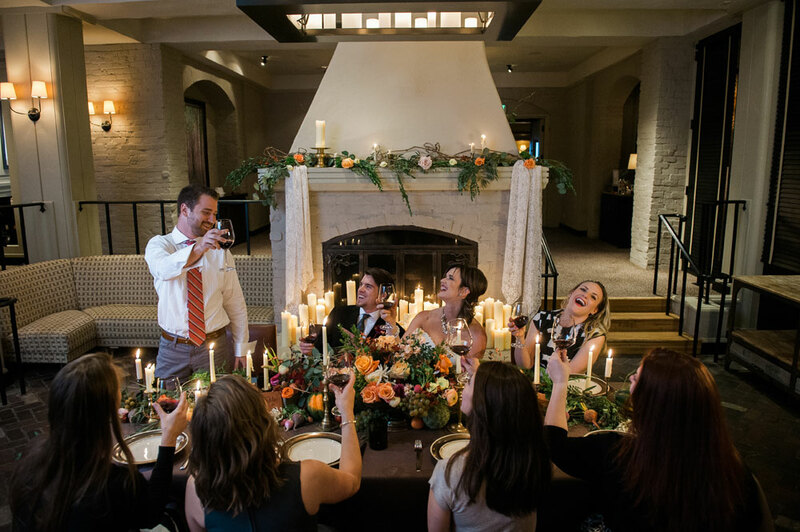 When a wedding involves community it is ultimately a more meaningful event. 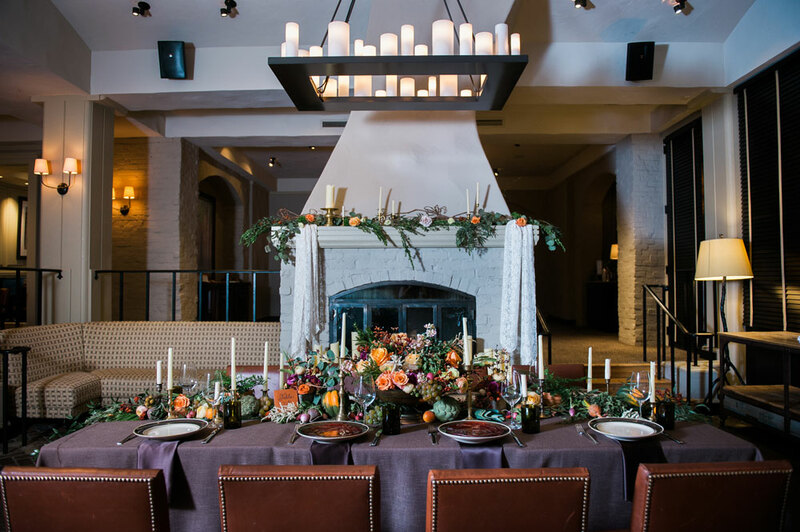 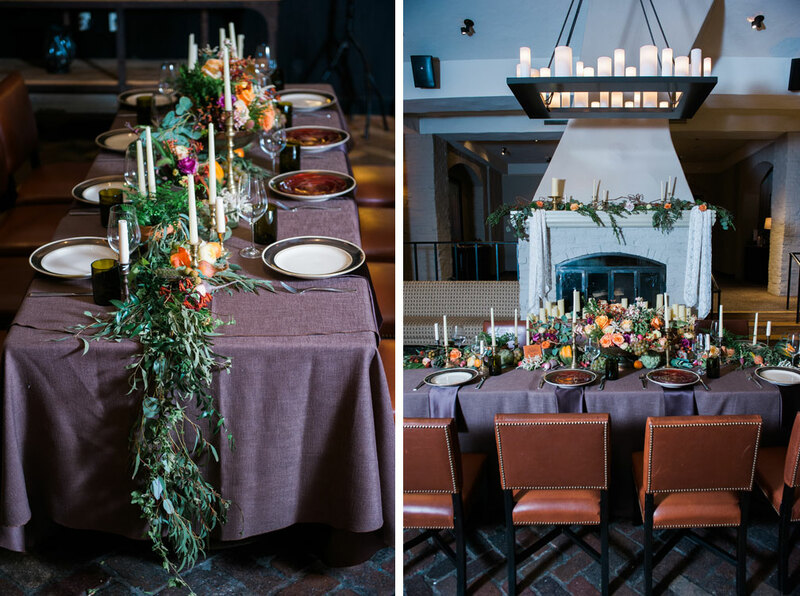 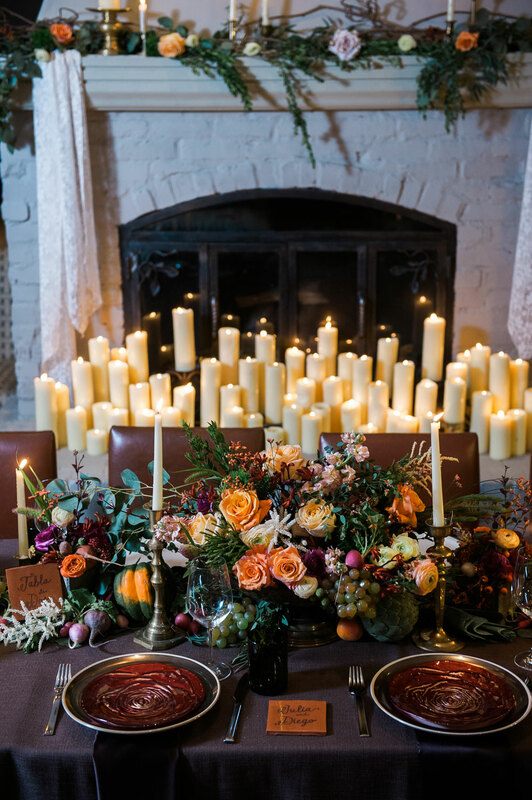 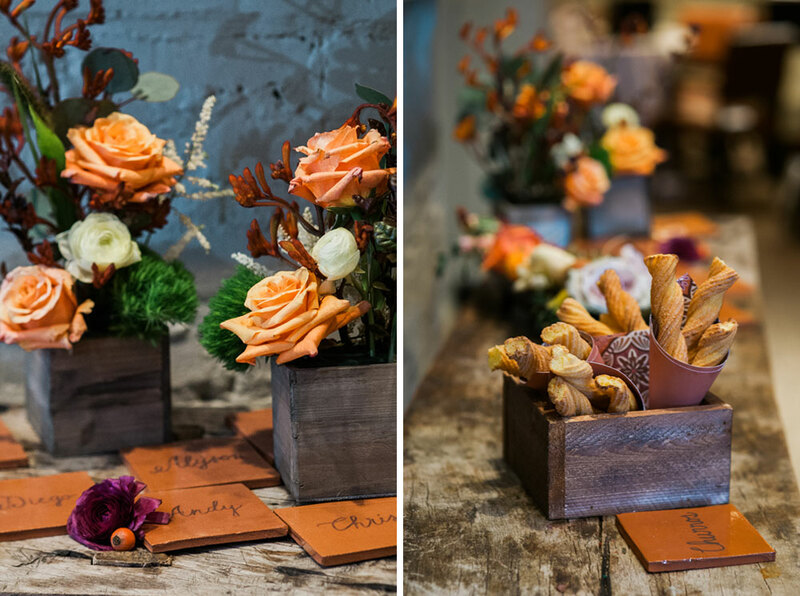 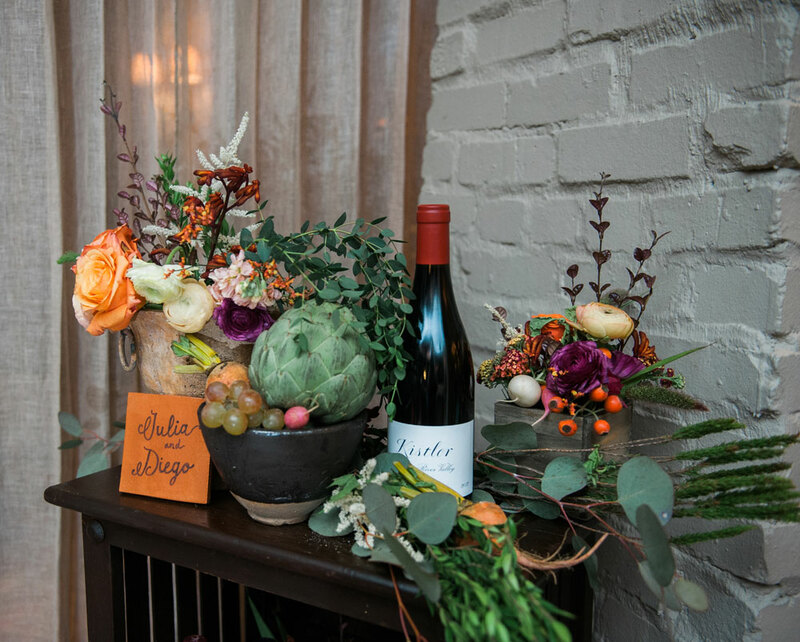 We used warm colors, a full reception table display and lots of warm candlelight for details that speak to that community idea. 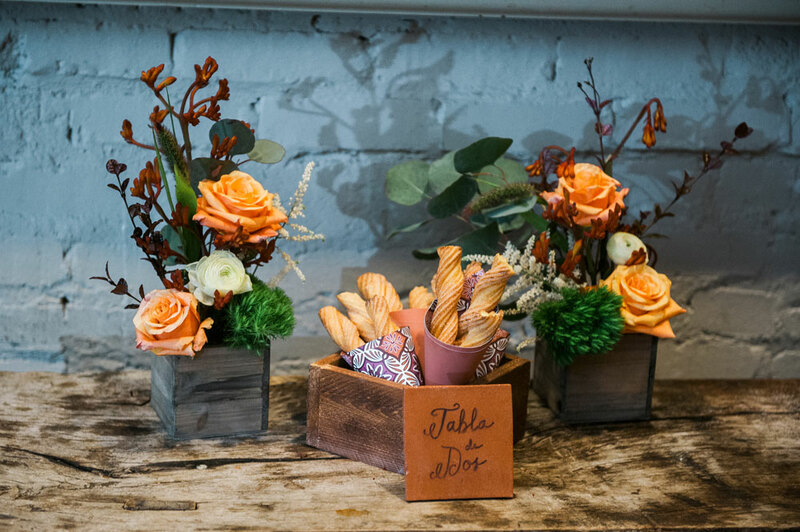 We even had some of the vendors join in the shoot as guests to showcase the close knit community theme. 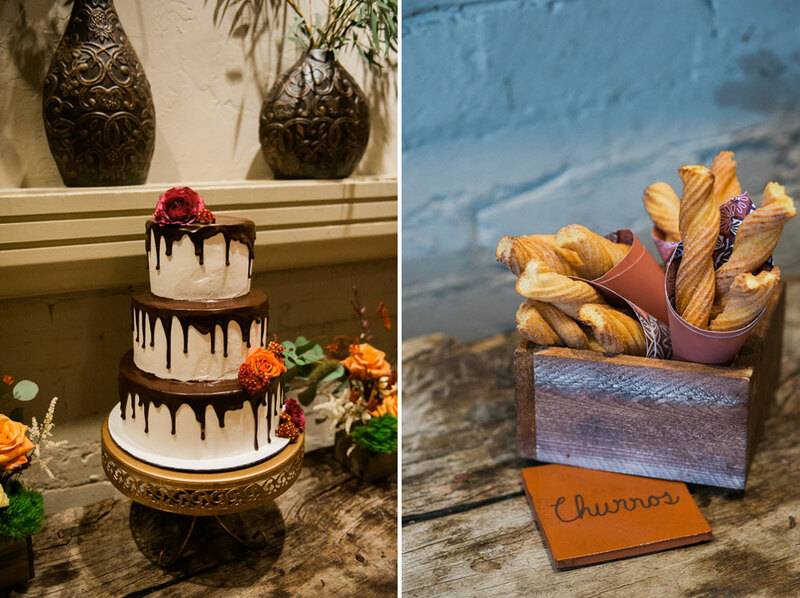 We kept the latin flavor with spiritual elements, the dress and veil style, the tile signage and churros for dessert.